Something revolutionary is happening in Providence and black women, indigenous women, women of color and trans people are at the center of it, where we belong. On March 9th, a large group of people from all backgrounds came together at First Unitarian Church of Providence on a Friday night. They came not to worship, but to listen and learn about this thing called reproductive justice or RJ for short, as told by the leader of SisterSong, Monica Simpson. Monica is a lovely, welcoming, queer black woman who sung her way into my heart the moment she opened what I thought would be a lecture, but ended up being a come-to-Jesus epiphanic moment, with a song that gave me chills. From there, Monica launched into her stories and how important it is for us all to acknowledge that every one of us has a story to tell and experiences that have shaped who and what we are. 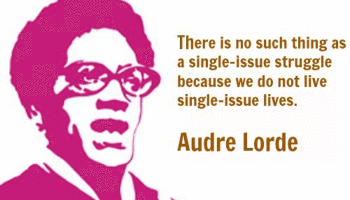 The mission of SisterSong is to connect the dots for people on how and why we must dismantle white supremacy in order for all people to be able to live our best lives using intersectional black feminism and reproductive justice as the lens. So what is Reproductive Justice? “SisterSong defines Reproductive Justice as the human right to maintain personal bodily autonomy, have children, not have children, and parent the children we have in safe and sustainable communities.” We live multi-issue lives, so the fight for reproductive rights can not and should not stop at abortion rights. As black, brown, indigenous and trans folx, just by living in our bodies we face different challenges and are afforded or shut out of different opportunities. We left Friday night activated and ready to take a deeper dive into how to utilize this new understanding in our activism and advocacy work. Understanding reproductive justice was a game changer for so many of us who attended. RJ, allows for those intersecting identities and human rights to be acknowledged and fought for in a holistic way. Through a reproductive justice lens, we are able to make the connections necessary to advocate for all people, especially the most marginalized by the systems of cis-hetero normative white supremacy, patriarchy and capitalism. Radical relationships must be cultivated between people of color and white allies in solidarity organizing. However, the most marginalized shall lead, which means people will be called in to check their privilege and continually center black and indigenous and trans people. Those who have levels of privilege that blind them to the struggles of others, should not and will not lead the way for long lasting change to free us all. Understanding white supremacy and power dynamics is key in this work and everyone will be called to shift and dismantle them both. We all have the inalienable human right to freedom and control over our own bodies. This means it is our human right to decide for ourselves if or when we choose to become parents. If we are parents, it is our human right to parent our children as we wish and be free from the oppressive conditions that white supremacy, patriarchy and capitalism foster that endanger black and brown children daily. Reproductive rights, historically, have focused on the cis-hetero white women’s right to choose and have a safe abortion. Reproductive Justice incorporates that fight but opens it up and exposes all the ways that black and indigenous people have had to fight for bodily autonomy against a government that seeks to deny people of color access to their rights. Unequal access to equitable employment and wages means too many women lack the funds necessary to obtain, and often travel for, an abortion. The “choice” promised by Roe v Wade is no choice at all for the most marginalized women. Freedom from all forms of violence and oppression are encompassed in the fight for reproductive justice. Freedom from domestic violence, economic violence, racial violence, environmental racism and violence, gun violence, and state sanctioned police violence are all fundamental human rights that reproductive justice extends to include. Two days with Monica Simpson, SisterSong and reproductive justice had the attendees ready to integrate RJ into our work and recognize how present it already is in our daily lives. So what’s next? As we went around the room, we shared what came up for us in this transformative experience. We made commitments to ourselves and each other to bring RJ into our activism, our advocacy work and into our respective communities. We acknowledged that we are in a moment of shifting culture and that we can play a role in making that shift focus on those of us with the least access and privilege. We pledged to seek out and cultivate radical relationships that centered the most marginalized. We exchanged cards and phone numbers. We talked about the future we were living into and creating together. This future is black and brown and indigenous and trans and gender non-conforming. This future is intersectional and uplifts the voices and experiences of the most marginalized. 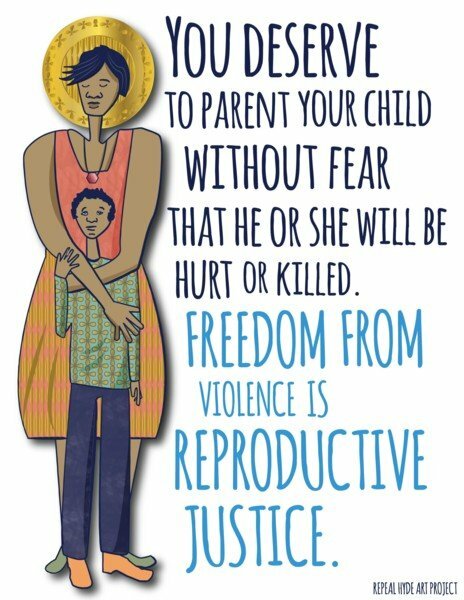 This future is free of violence and grounded in reproductive justice and human rights, for all. Previous postHow Dumbed Down, Meek, and Quiet Do Black Women Need To Be?